Transcript - What will our future be? Help - What will our future be? Watch video on YouTube - What will our future be? When was the last time you ate a chocolate bar and wondered where the ingredients came from? The odds are it was manufactured in a factory in the UK and bought in a supermarket down the road. But there’s a strong chance that the salt in that bar came from China, the palm oil from Southeast Asia, the whey from New Zealand, the sugar from the Caribbean, the cocoa from South America, the calcium sulphate from India and the milk and wheat from several EU countries. There’s no running away from it. 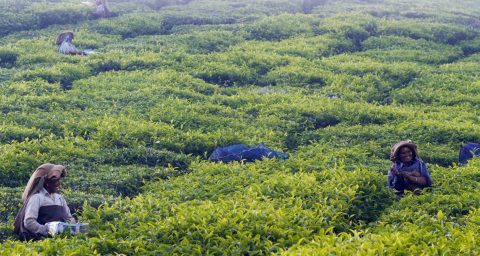 Complex supply chains in the food system mean that we live and eat in a global world. In the UK alone, we produce less than 60% of our own food, and import the rest from over 180 countries. Changes in international demand, as developing countries become more affluent, can easily threaten our food supply and thus it matters to all of us! Meanwhile, unhealthy relationships with food and diet related ill health costs the UK’s NHS £6Bn a year. Add to that 2Bn more mouths to feed in less than 50 years, and it would not amiss to ask if we heading for a Malthusian catastrophe? The truth is we need a radical rethink of how we choose the food we eat, as well as produce meat, utilise water, sow the land and find ground breaking ways to grow crops in places that couldn’t previously sustain life. Follow the action at the summit on #OurFoodFuture on 18 February. The Food Standards Agency’s strategy acknowledges the complexity and interconnectedness of the food system and the breadth of consumers’ interests. In the spirit of open policy making, we recognise the need to invite broader inputs and expertise, actively go where the debate is, and create space for others to help identify and solve problems. This is why we have put together Our Food Future 2016: a summit which will gather 200 experts – from across several disciplines and areas of interest – in London this 18 February 2016. We will unpick this complex topic, discuss the implications of changing food patterns and reach a shared understanding of what needs to be done to achieve food security for all. This summit will also establish a credible starting point for further public engagement with consumers; on risks, issues and questions posed by these changes because consumers tell us they want to know more, something highlighted by studies by other bodies joining us in February such as Which and the Wellcome Trust. Our end objective is to equip the public with a greater capacity to make informed choices about food, now and in the future. The environmental challenges posed by agriculture are huge, and can only become more pressing. Add to that a range of socio-economic implications such as rapid urbanisation, changing demographics, rising amounts of food waste, climate change, and we’ve got a big challenge on our hands. 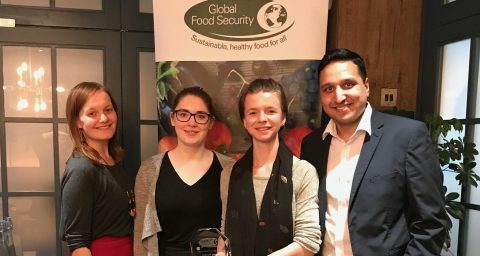 But we don’t want the debate over how to address the global food challenge to become polarized, pitting agriculture, commerce, industry, government and consumers against each other. 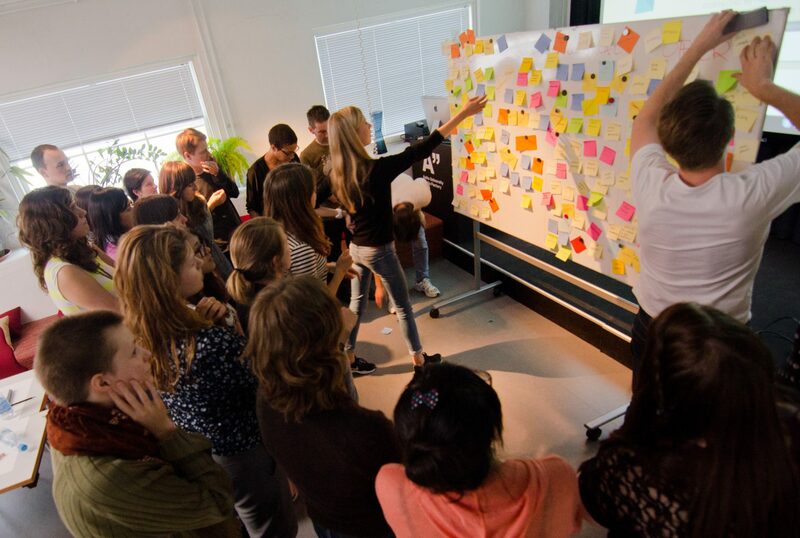 We all have a part to play and need to engage together to explore potential solutions. Global food challenged need people to pull together in the same direction. Producers need to be smarter about crop intensification, working with the environment rather than against it. Sustainable intensification (SI) means we look after the soil and how we use it, nurture pollinating insects like bees, utilise natural resources like birds to eat pest insects rather than using large amounts of pesticide. Yet, how this delivers food security and the access and utilisation issues required for food security interplaying with SI need discussion and exploration. Industry needs to start sharing data with government, policy makers and scientists, so we can find new solutions and begin to recognise novel ways to ensure that business is as sustainable today as it is ten years down the line. Such big data approaches can generate faster solutions to problems which we all need to address together and not in competition. Government needs to give consumers the right information so they are informed enough to make the right choices. We also need to make accurate regulatory decisions to work with food businesses, helping them to ensure food safety, whilst offering consumers choice and confidence. And consumers – which are all of us – need to recognise how powerful we are, and that we have choices and can vote with our feet. Addressing our global food challenges demands that all of us become more thoughtful about the food we put on our plates. So Stop for a minute, Think about the food choices you are making – whether it’s sustainable, what it means to your health and the environment, and then Choose. Remember, the choices we make will help decide the future. 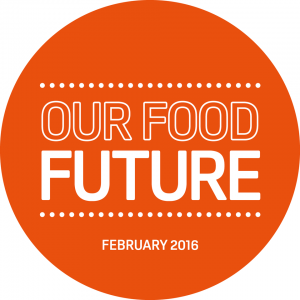 Our Food Future will take place on 18 February 2016. Tune in to the webcast and join the conversation using #OurFoodFuture. You can also follow @GuyPoppy1 on Twitter. 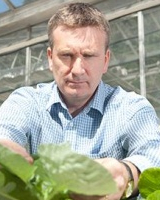 Professor Guy Poppy became the Chief Scientific Adviser of the Food Standards Agency in August 2014. He is also Professor of Ecology at the University of Southampton and Director of their Interdisciplinary Research. Professor Poppy has significant research experience in food systems and food security and has advised governments around the world on these issues.